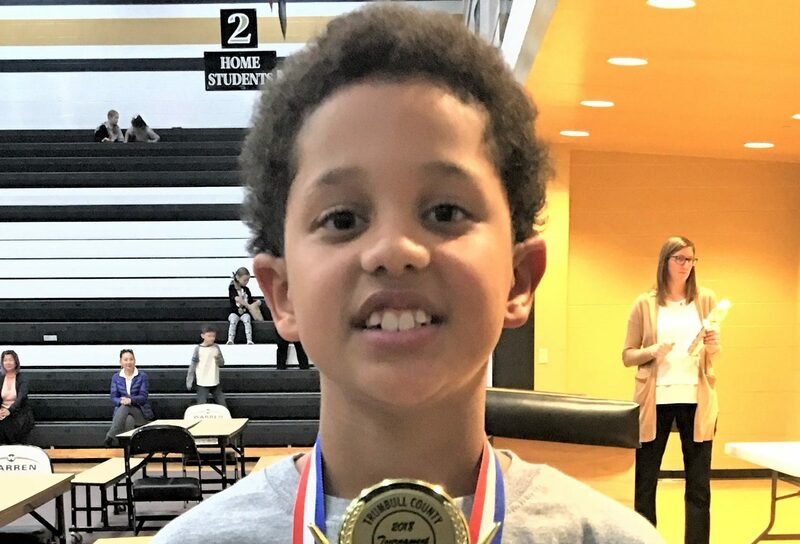 Congratulations to 5th-grader Maxwell Milton who placed first in his category at the annual Challenge 24 math competition. Milton is a student at Lincoln PK-8 School. 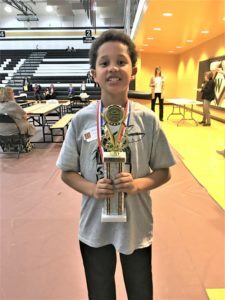 He was among the more than 180 students from across Trumbull County who participated in this year’s event. The competition tests the math skills of students in grades 4 through 8. Categories are by grade level: 4th, 5th, 6th and 7th/8th. The students look at cards containing four numbers of any combination of 1 to 9, and then use addition, subtraction, multiplication and division to come up with the final number of 24. Competitors may use each number on the card only once. Four students at each table compete to win the highest number of cards by the end of each round. The first student to come up with an answer taps the table and recites the steps he or she took to arrive at the number 24. There are penalties for students giving incorrect answers. Sponsors were the Tribune Chronicle, Trumbull County Educational Service Center and Cortland Bank. The event was at Warren G. Harding High School. Warren City Schools has continued putting the district’s Social and Emotional Learning efforts into action. District leaders continued to develop their knowledge and action around Equity and SEL with a session for all members of the District Leadership Team. 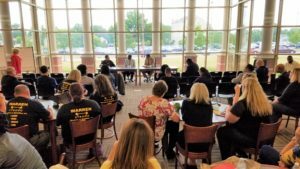 Teachers and administrators from all buildings were involved in the Oct. 3 session that highlighted different aspects of Equity and Privilege. In the near future, the Warren District Leadership Team will lead in the education and advancement of Equity issues in the school district, making this important topic a bi-partisan effort. 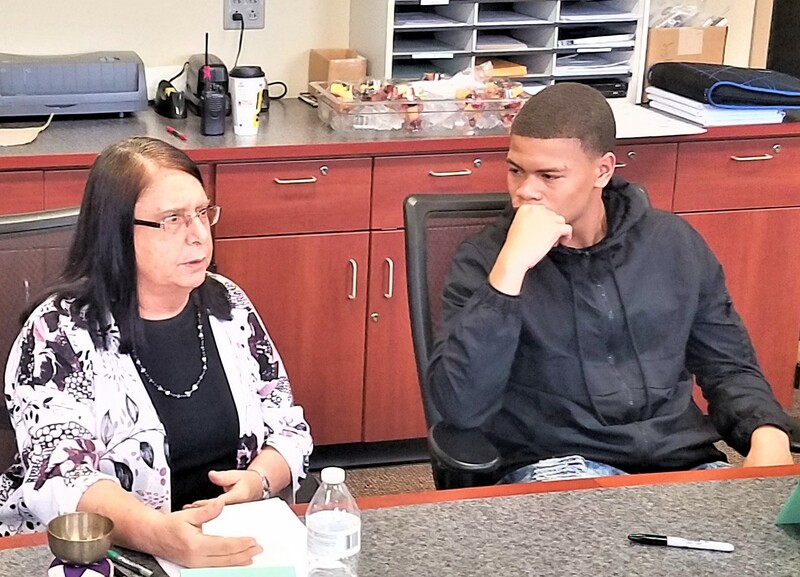 District efforts continued with an interactive roundtable at Warren G. Harding High School where teacher/administrative leaders led small student groups in discussions around hopes/fears – discovering student voice at all grade levels. Every staff member and student participated. Later, roundtable staff leaders and select students, facilitated by CASEL (Collaborative for Academic, Social and Emotional Learning) Consultant Linda Lantieri and building administrators discussed the process. As a result of that conversation, the group decided that the students would advise the staff on the next steps of the monthly roundtable process. Dr. Tyrone Howard, UCLA professor, center, joins U.S. Rep. Tim Ryan, D-Howland, right, and Warren City Schools Superintendent Steve Chiaro for a Community Discussion on Equity and Social-Emotional Learning in the library at Warren G. Harding High School. Dr. Tyrone Howard, a professor in the graduate school of education and information studies at the University of California, Los Angeles (UCLA), helped Warren City School District kick off its 2018-19 Equity Initiative for ALL students. 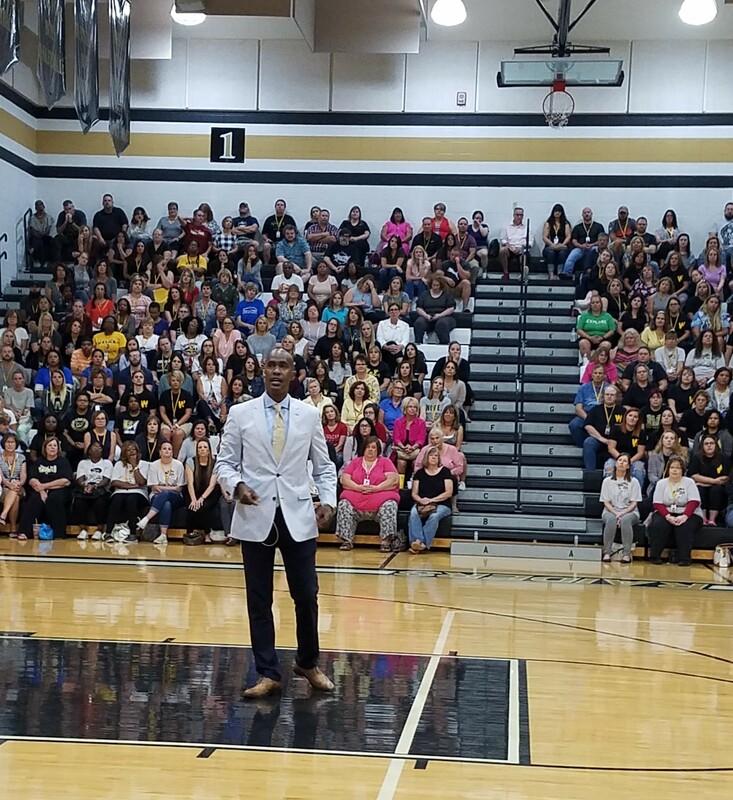 Dr. Howard spoke to hundreds of district employees Friday, Aug. 17, ahead of the first day of school on Tuesday, Aug. 21. The day’s events included discussions on WCS’ foundation in Social-Emotional Learning. Dr. Howard’s research examines culture, race, teaching and learning. He has published several bestselling books, including “Expanding College Access for Urban Youth” and is the director/founder of the Black Male Institute – an interdisciplinary cadre of scholars, practitioners, community members and policymakers at UCLA dedicated to improving the educational experiences and life changes of males of color. Dr. Howard was named the recipient of the 2015 UCLA Distinguished Teaching Award. In 2016 and 2017, he was listed by Education Week as one of the 60 most influential scholars in nation. He advised WCS’ teachers to empathize with their students, but to hold them accountable and set expectations high. 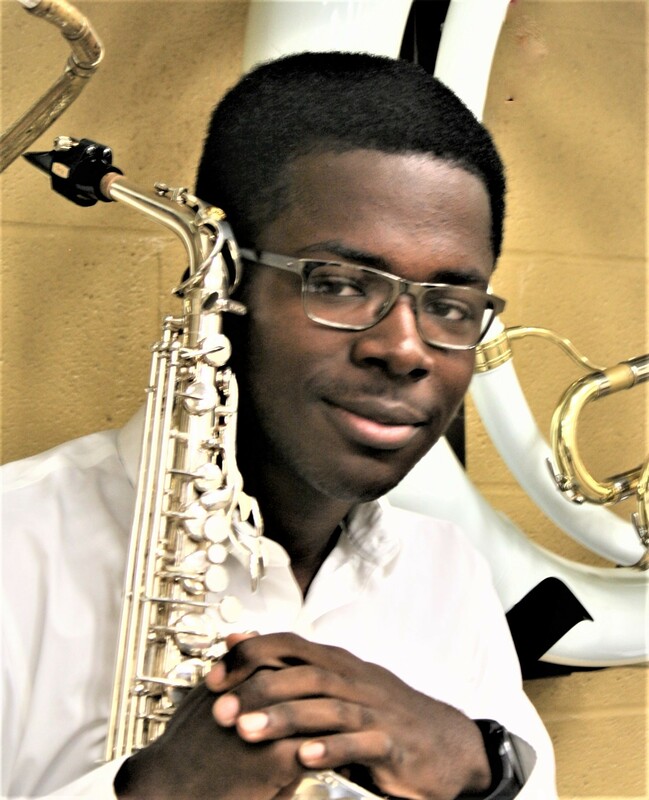 He told those gathered inside the gymnasium at Warren G. Harding High School that it is important to recognize and be willing to openly discuss differences and similarities among various cultures and races. Later in the day, Dr. Howard joined U.S. Rep. Tim Ryan, D-Howland, and Warren City Schools Superintendent Steve Chiaro for a Community Conversation in the WGH High School library. Joshua Guthrie, 6-8 Pod Principal at Jefferson PK-8, right, greets first-grade student Anton Blackwell the first day of school Tuesday, Aug. 21. 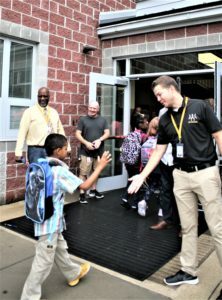 Members of 100 Community Men of Warren and volunteers from various organizations joined school leaders as they greeted and cheered for students the first day of school. The effort, led by Pastor Todd Johnson of Second Baptist Church in partnership with the United Way of Trumbull County and Warren City School District, brought volunteers from various organizations to Warren G. Harding High School early the morning of Tuesday, Aug. 21. Volunteers then headed to the district’s four PK-8 Schools – Jefferson, McGuffey, Lincoln and Willard – to greet students attending those buildings. 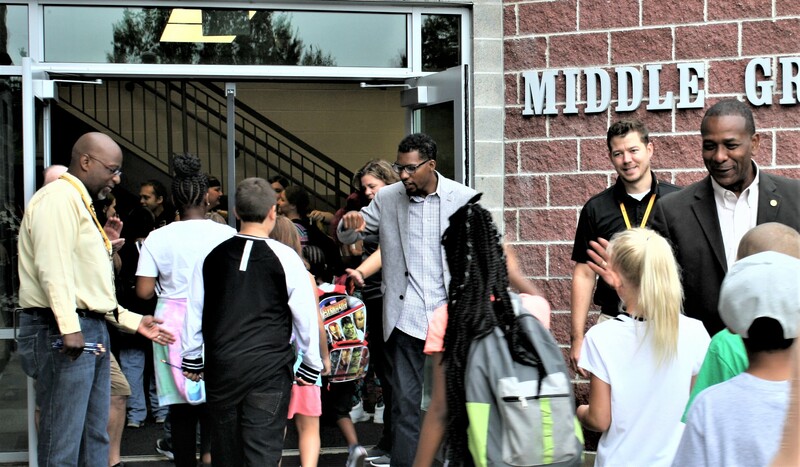 This year marked the second for 100 Community Men of Warren to participate in the United Way’s ongoing effort help the district kick off a new school year.